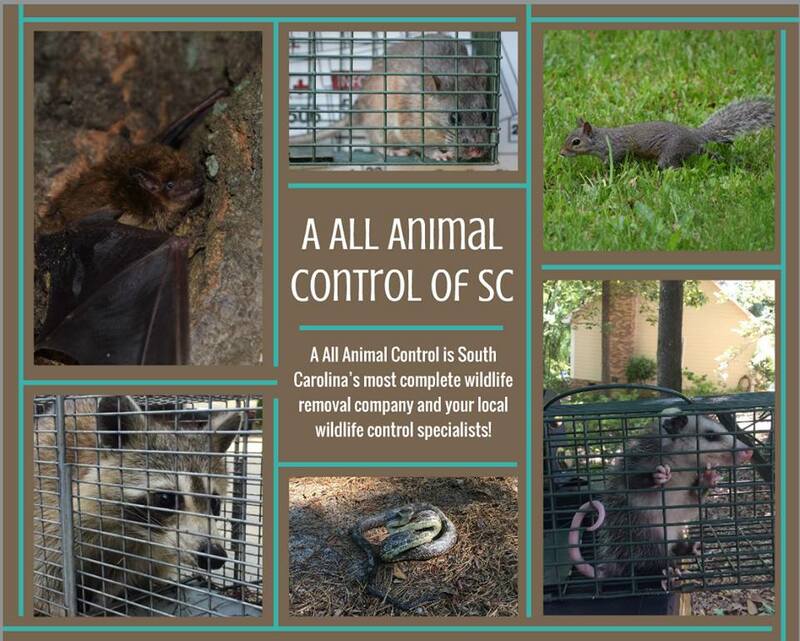 A All Animal Control is Columbia, South Carolina’s most complete wildlife removal company and your local wildlife control experts. We provide professional services for the control of bats, birds, raccoons, squirrels, opossum, beaver, coyotes, fox, geese, snakes, moles and many more wild animals. Proudly serving the greater metropolitan area of Columbia, South Carolina and surrounding communities including Forest Acres, West Columbia, Irmo, Chapin, Elgin, Lugoff, Camden, Bishopville, Darlington, Blythewood, Ridgeway and Winnsboro. 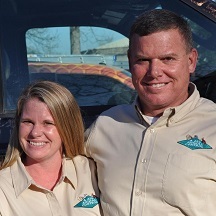 A All Animal Control, a nuisance wildlife management company is an industry leader in providing wildlife and animal pest control services for residential, industrial and commercial clients in Columbia and surrounding communities. We can handle all of your wildlife control problems and provide excellent service while using the latest technology and equipment. The control of wildlife requires a qualified and experienced expert to assure you of expert care of your wildlife problem. Our wildlife control professionals have been specially trained in the control of wildlife specific to Columbia, South Carolina and will take care of the problem in the safest way possible. We are a full service wildlife management company. For assistance with animal removal and control, we’re only a phone call away at 803-525-1226. A certified wildlife inspection is the first step of the wildlife control process. Our inspectors will conduct an inspection of your property- foundation to rooftop. We will identify the nuisance animals and provide you with a professional recommendation for the best solution to your wildlife conflict. A All Animal Control inspection report will provide you with a detailed description of your wildlife problem and the solution to correcting it. Our wildlife inspections include color photos of any wildlife damages or areas that need correcting. A wild animal pest must be controlled using the proper elimination, eradication or animal capture techniques. Wildlife trapping is an important part of wildlife removal services and providing environmentally safe ways to control wildlife is important for their protection. A All Animal Control technicians are trained and equipped to clean up all forms of hazardous animal waste such as guano, droppings, feces, urine and body oils. A thorough cleanup of animal waste is important to protect your family from diseases and ectoparisites that animals may bring into their nests. To make your home or office sanitary and secure, our wildlife damage repair team can remove and replace contaminated insulation, repair entry holes, cap chimneys, repair siding and many more damage repairs in order to restore your home or property. A All Animal Control of South Carolina is licensed, bonded and insured and our damage repairs are warranted.